(Lanka e News 28.Aug.2018, 4.10AM) BBC’s local Sinhala correspondent Azzam Ameen responding to the inquiry made by Lanka e News said , the report published by a certain media that he is banned from participating in cabinet media briefings and political interviews is a canard. Based on a policy decision taken , the new officials of the BBC Sinhala service have for a while drawn the attention of their SL journalists away from covering cabinet meetings and political interviews ,and towards other investigative news reporting on matters which are concealed from the people. Accordingly Azzam and other journalists have been entrusted with other responsibilities. When Lanka e News inquired about this from the other SL’s Sinhala journalists of the BBC, they too confirmed the veracity of Azzam’s statement. Cabinet meetings are now mostly conducted by the government live. Hence , the new official may have thought there is no necessity for BBC to make a new report. Besides , the BBC’s Sinhala service is now not that popular as before . Hence their looking for new avenues is unsurprising. 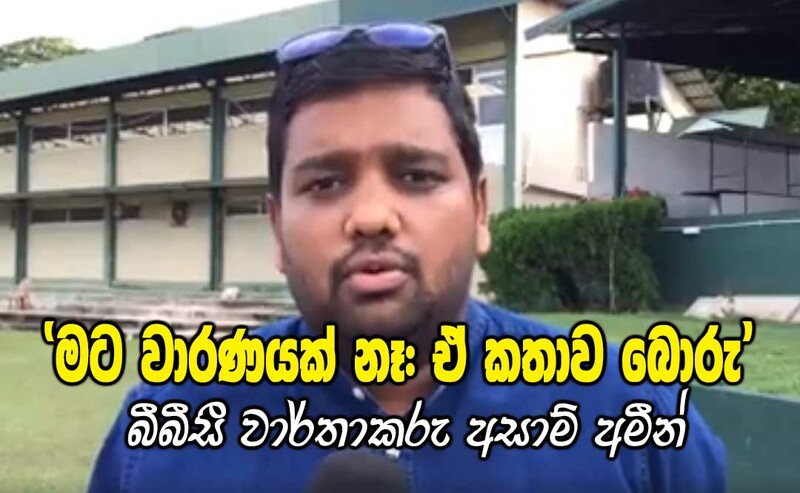 Ameen said during his discussions with us , he was undergoing training during the last two months at the BBC in UK , and may be that is why he was missed in SL.